"Great that I found some valuable tips from other InterNations members before moving to Bishkek. I would have been lost without them." "Not knowing anyone, I had to move to Bishkek. Thanks to InterNations I built up a great circle of friends in no time." “Nothing’s certain but death and taxes,” as Benjamin Franklin wrote. This applies even to Hong Kong. Residents have a life expectancy of 82, though, and a maximum tax rate of only 17%. This section of our expat guide addresses both the tax system and the retirement provisions of an aging population. Moving to Hong Kong for professional reasons can often be a great step forward in your expat career. Many foreign assignees earn a good living as highly qualified employees and executives in the service sector. Therefore, they will hopefully never need to fall back on Hong Kong’s social welfare benefits, which mainly cater to the elderly and the poor among the urban population. Moreover, there is a residency clause which applies to a number of services offered by social security in Hong Kong. In various cases, you need to have been a registered resident for at least seven years before you can apply for financial assistance. Though most expats probably move to boost their career, they should still be informed about social security in Hong Kong. Eligibility for benefits, however, is usually less important than retirement funds. 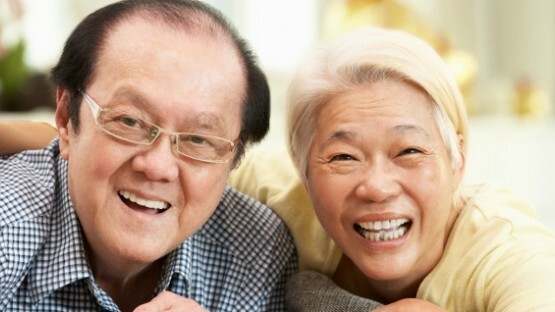 Our guide to social security in Hong Kong introduces welfare, pensions, and working conditions. Since Hong Kong is not one of the globe’s tax havens, doing your taxes in Hong Kong is unavoidable for all expatriates. Fortunately, the usual Hong Kong income tax rate is fairly low. Our InterNations guide introduces you to the Hong Kong income tax for expats and to general taxation in Hong Kong. While well-paid short-term expats hardly need or are able to get support from the Welfare Department, there are some related topics of interest. Firstly, the way government-supported pension plans are organized in Hong Kong might also influence your own retirement provisions. When you go abroad, you should always look into your new home’s social security schemes and agreements and ask yourself: Can I still profit from paying into this foreign country’s pension plan when I retire back home? Secondly, in addition to pension funds, local working conditions and labor laws can also have a direct impact on you. After all, they constitute the framework for your new job in Hong Kong. Although Hong Kong is not a blissfully tax-free expat destination, like Dubai, for instance, it does have the advantage of boasting fairly low tax rates. Permanent residents and expats alike profit from the favorable Hong Kong income tax as well as a pretty simply tax system. Depending on where you come from, filing your taxes in Hong Kong may turn out to be less of a tedious chore than back home. For example, there are no taxes on interests, dividends, royalties, or capital gains, and VAT or sales tax doesn’t exist, either. Nonetheless, you might want to hire an international tax consultant to help you with your tax return. They will advise you how to benefit from Hong Kong’s generous tax allowances and deductions. With the help of a savvy tax accountant, you can also minimize your tax burden, both in Hong Kong and on a global level. This, in turn, may allow you to put aside some money for your individual pension scheme.